Saline soil possessing high pH value (above 8.0) predominates alkaliphilic actinomycetes (Singh S et al., 2010), which can be explored for the production of amylase from agroindustrial waste as substrate using solid state fermentation. In this study six types of agroindustrial waste such as wheat bran, rice bran, Dal mil waste, oil mil waste, vegetable waste and molasses were employed. Solid state fermentation (SSF) was carried out at various moisture content (10 to 35%) at 37˚ c. results indicates that alkaliphilic Actinomycetes from saline soil of vidarbha region produced maximum amylase in vegetable waste (4.45mg/ml) in presence of 30 % moisture after 96 hrs, followed by oil mil waste (4.5mg/ml) in presence of 25%moisture after 120hrs, wheat bran and rice bran (3.9mg/ml) at 25%moisture content after 120hrs and 96hrs respectively. Dal mil waste was found to produce 3.5mg/ml amylase in presence of 25% moisture after 96hrs and molasses showed very least production of amylase (2mg/ml) after 144hrs. Hence it indicates that agroindustrial wastes are good source for the production of amylase using alkaliphilic Actinomycetes. Key words: Amylase, Actinomycetes, saline soil, Agroindustrial waste. Vidhale NN and Pundkar VM (2016) Exploration of Alkaliphilic Actinomycetes for Amylase Production from Agroindustrial Waste, International J. of Life Sciences, 4 (3): 394-400. Deshmukh AA, Vidhale NN (2014) Screening the antibacterial actinomycetes from saline soil of vidarbha region..I. J. App. Research.;4(3)20-21. George L Peltier and Beckord LD (1945) Sources of amylase-producing Bacteria.. J. Bacteriology. ; 50(6): 711-714. Kuo MJ and Harman PA (1966) isolation of amylolytic strains of thermoactinomycetes vulgaris and production of thermophilic actinomycetes amylases.. J. bacteriology. ; vol.92,no.3,723-726. Karanwal Akansha and Varsha Nigam (2013) Production of Amylase enzyme by isolated microorganisms and its application.. Int. J. Pharm. and Bio. Sci. ; 3(4): 354-360. Maria de Lourdes Teixeira de Moraes Polizeli (2011) Biotechnological Potential of Agro-industrial waste as carbon source to thermostable polygalacturonase production in Aspergillus niveus.. Enz. Res.article.ID 289206,; 10(4061):pg.,6. Poornima R, Maloy Kumar Sahu K Sivakumar and Pushpavalli V (2010) Optimization of α-amylase production by actinomycetes strain AE-19 isolated from shrimp pond. 2008. Acdemic journals Inc.Trends in applied sciences research.;3(1)45-52. Renge VC, Khedkar SV and Nikita R Nandurkar. (2012) Enzyme synthesis by fermentation method. :A review. Sci. revs. Chem.. commun. ;2(4),585 -590. Singh SP, Thakur JT, Gohel SD, and Purohit MK (2010) Molecular diversity and enzymatic potential of salt-tolerant alkaliphilic actinomycetes. Formatex .info; microbiology2 /280- 286. Selvam K, Vishnupriya B and Subhash Chandra Bose V (2011) Screening and Quantification marine actinomycetes producing industrial enzymes Amylase, Cellulose and Lipase from south coast of India.. Int. J. Pharmaceutical and biological archives. ; 2(5):1481-1487. 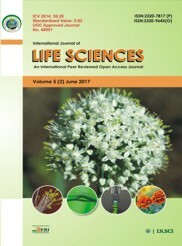 Lakshmi R (2011) Amylase production by aspergillus niger under solid state fermentation using agroindustrial wastes.. Int. J. Engineering sci. and tech.;3(2):1756-1763. Vidyalakshmi R, Paranthaman R and Indhumati J (2009) Amylase production on Submerged fermentation by Bacillus spp.. World J. chemistry; 4(1): 89-91.